If you were looking forward to playing another beautiful, online co-op shooter this year, here’s some bad news: Anthem, BioWare's potential rival to Destiny, has reportedly been delayed until 2019. There has been lot of hype surrounding Anthem since its stunning trailer appeared at E3, though experience teaches us that these aren’t always a true reflection of the finished product. Nevertheless, the multi-platform title looks like it has potential, and the 4K visuals are undeniably gorgeous. It feels like a huge number of games experience delays these days, but BioWare’s devs have reportedly been under extra pressure when it comes to Anthem. The commercial and critical failure of last year’s Mass Effect Andromeda led to parent company Electronic Arts folding Bioware Montreal into the EA Motive Studio. 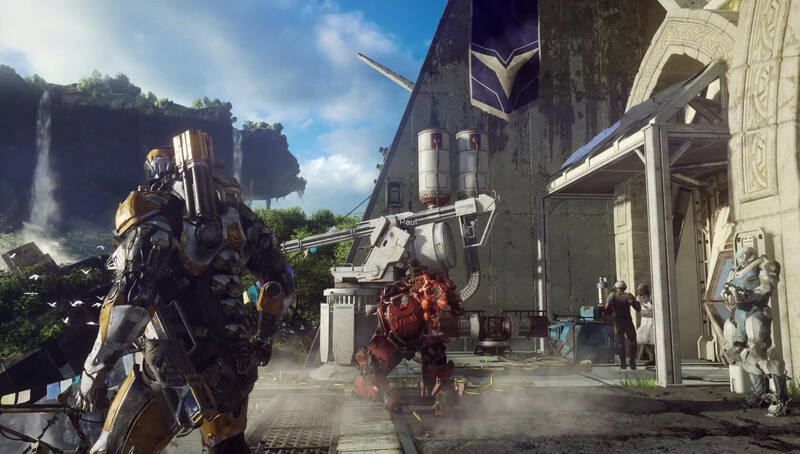 Should Anthem fail to deliver, BioWare’s Edmonton and Austin studios could suffer a similar fate. The negative publicity from EA’s Star Wars: Battlefront 2 and its loot box system has also been playing on the mind of Anthem’s developers. The team has reportedly been demoralized over the way popular YouTubers have demonized EA, making the company out to be villains. It’s also caused BioWare to rethink how microtransactions are used in Anthem—they may be cosmetic only. Anthem’s delay still hasn’t been confirmed by EA, but a 2019 release does appear highly likely.